The Okoboji Yacht Club has enjoyed a very long history. The first yacht club was organized in 1877. A series of races were held over the next few years, but interest declined by the late 1880's and the club ceased to exist. 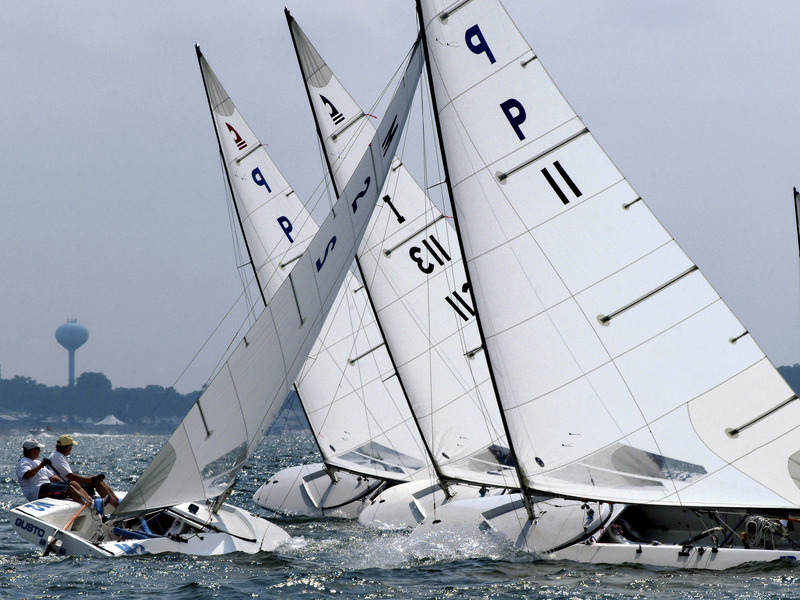 The turn of the century brought a new interest in sailing, and yachting again came to the top of the sporting list. In 1897, a new yacht club was formed with forty to fifty members. This group took over the dining hall and clubhouse on Pike's Point around 1906. The Okoboji Yacht Club became a fashionable spot to gather for dancing, dining, bathing and billiards. Boats of all sizes and varieties were sailed. The first annual meeting of the OYC was held at this clubhouse on August 3, 1908. With the coming of the automobile and lake roads, the club again folded up about 1911. The next chapter for the Okoboji Yacht Club began with an impromptu meeting at Nita Seeman's cottage on McHenry's Point (Givens Point near Okoboji Boat Works) in July, 1933. 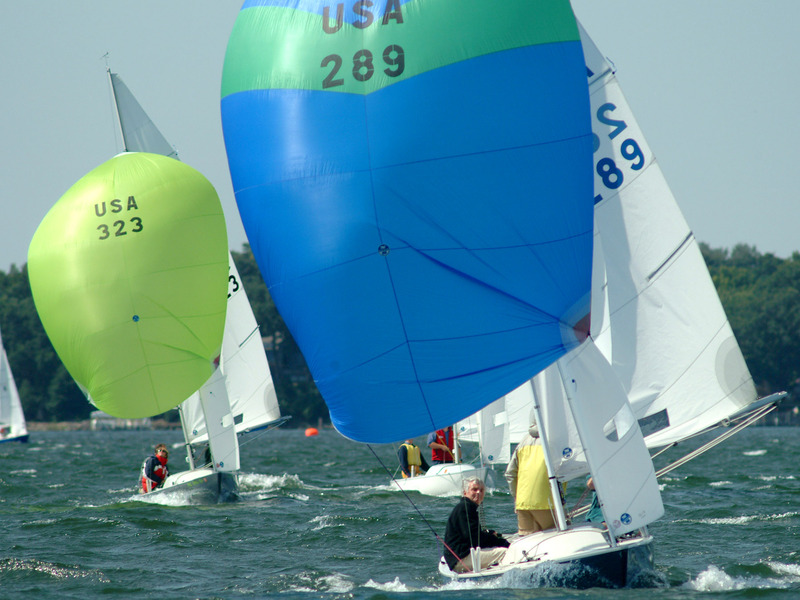 The first sailing event was to be held on July 4, 1933. The course was north and west from Fort Dodge Point, then south towards Brown's Bay, then back to Pillsbury Point. 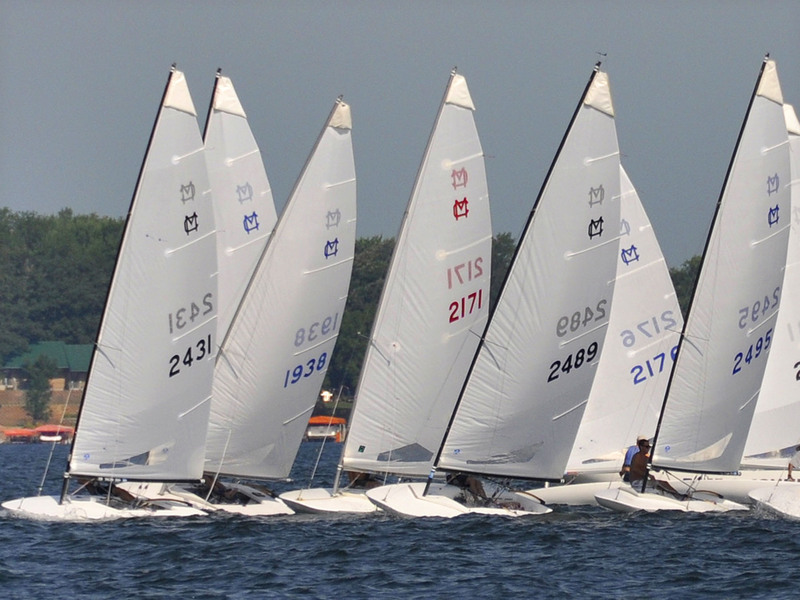 Preliminary races were held July 1 to set handicaps for the many varieties of sailboats. At this time, there were three classes of boats; the small moth sailboats, the catboat class, and the gaff rigged "C" class. By 1934, the OYC was holding a Sunday series of races and providing Inland Lake Yachting Association rule books to the skippers. Gene Huse, of Norfolk, Nebraska, donated the rule books for the 25 club members. 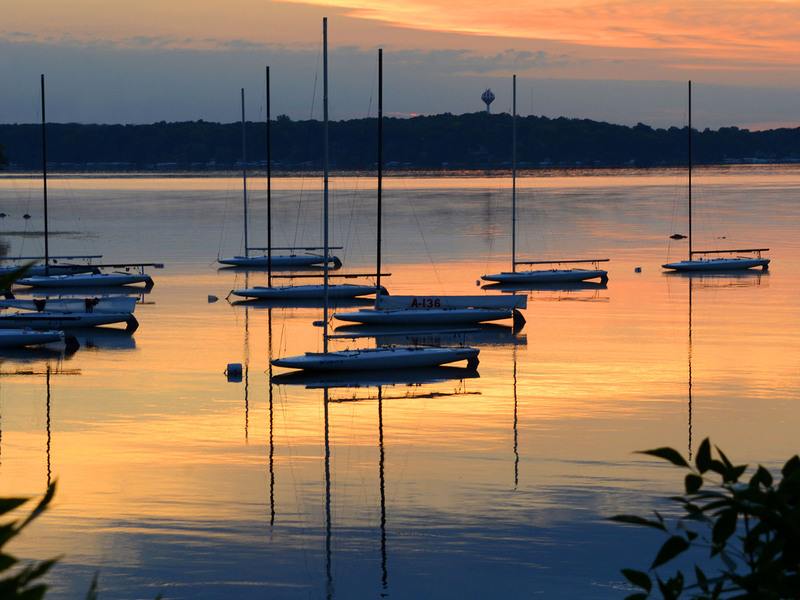 In 1935, the yacht club had moved their headquarters to the Gull Point State Park Lodge. Communicating to the fleet as to whether or not there would be races for the day was a problem for the early yacht club. They didn't have the handheld marine radios that are used today. In 1934, to signal that a race was being held, a huge bomb, donated by Hubert Everist of Sioux City, Iowa, was set off on Fort Dodge Point. The following year, 1935, the yacht club erected a thirty foot tall flag pole on Gull Point. A white flag hoisted meant races were on; a red flag hoisted indicated a storm was coming. During World War II, 1945, the Okoboji Yacht Club was mostly made up of girls and young women and was called the Okoboji Women's Navy. They held races on Wednesdays at 5:00 pm, Saturdays at 2:00 pm and Sundays at 10:30 with special races for Father's Day and the Fourth of July. In August, 1957, a permanent clubhouse was built, lakeside, next to the New Inn on Dixon's Beach. It was only 40 x 60 foot with a 10 x 20 foot porch. 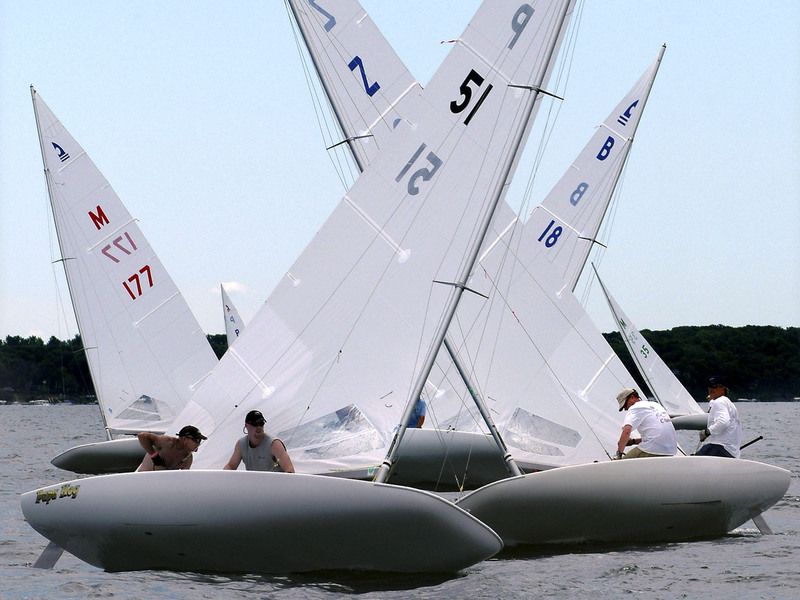 Classes of sailboats raced were the E, C, Y and X boats. Later, in the the 1960's, M-16's and M-20's were also raced. In 1982, when the yacht club moved to its present location on South Manhattan Beach, it sold the old clubhouse to Bill Sackett who moved it to a lot across from his home on Hayward's Bay. The current Okoboji Yacht Club, located on South Manhattan Beach, is the fourth yachting club on the lake. 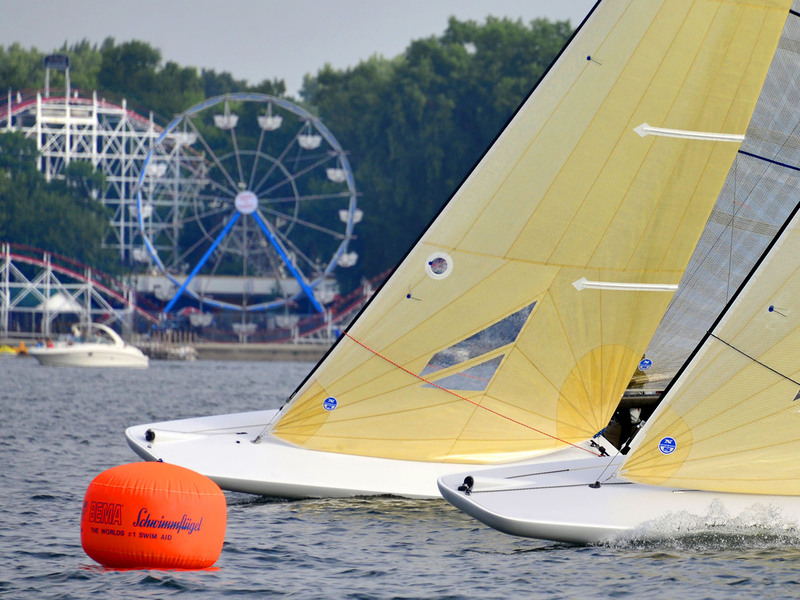 The yacht club leases the facility from the Okoboji Sailing School. Construction started on the current sailing facility in September, 1997 and was completed in June, 1998. A pledge drive was initiated in 1997 to raise the funds to cover construction of the facility. It was very successful, raising over one million dollars in pledges. 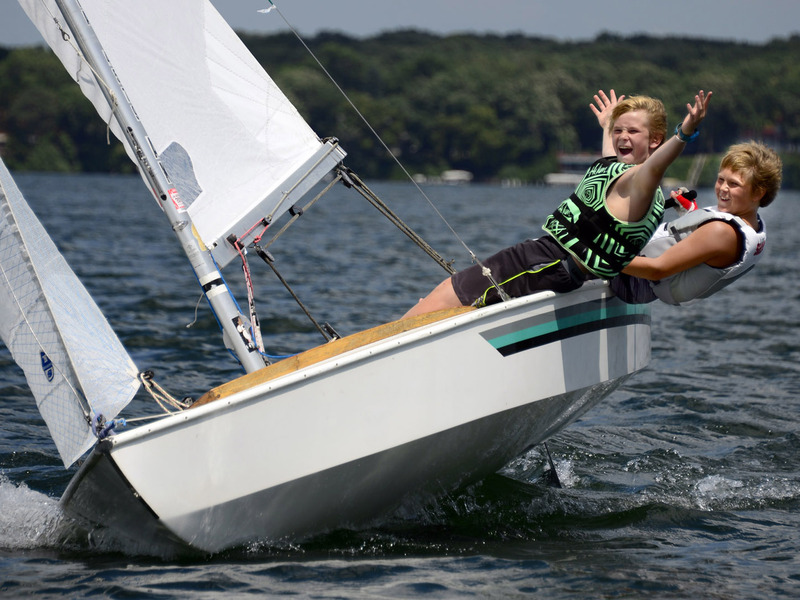 A year later, Lee Seeman made an additional pledge of one million dollars to establish an endowment fund for the operation of the Okoboji Yacht Club Sailing School. 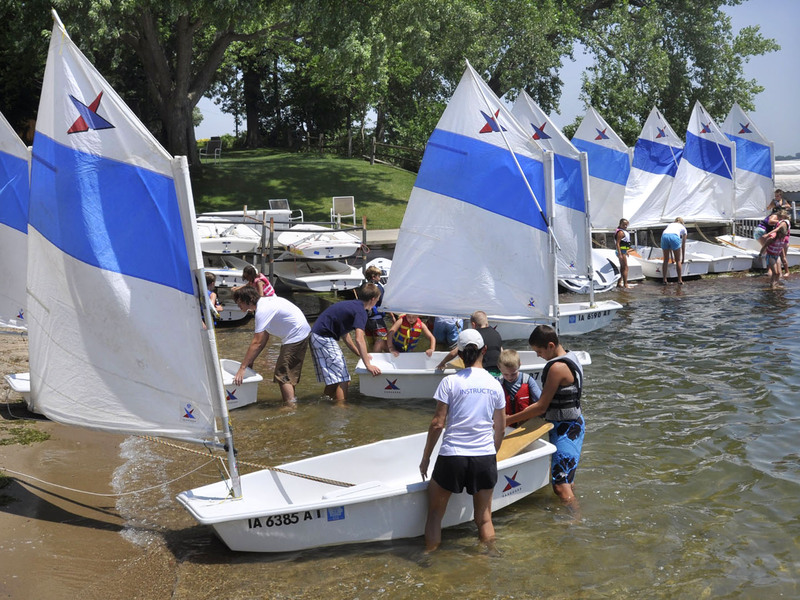 Today's Okoboji Yacht Club has about 500 members and 65 registered sailboats. It hosts five classes of boats, the X, MC, C, Yngling and E boats. 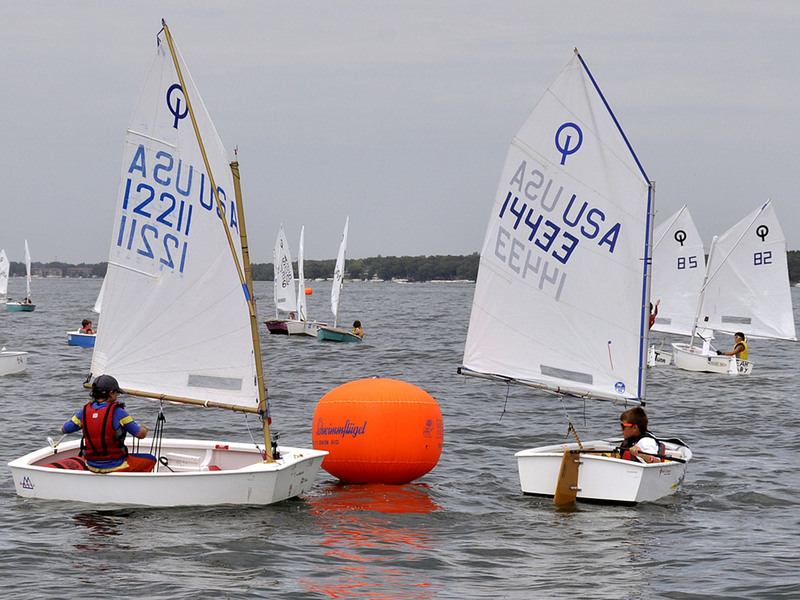 Club races are conducted on Saturday and Sunday mornings from Memorial Day through Labor Day. 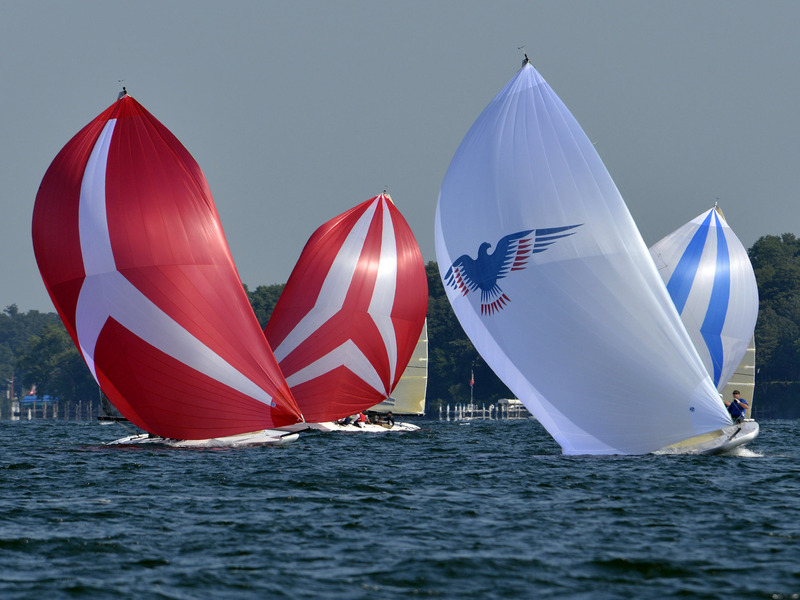 The OYC hosts a variety of social events for sailors and non-sailors. The Friday Nite Socials are a popular gathering time and the club hosts a large yacht club party once a month during June, July and August. Bridge and mahjong groups also meet at the clubhouse on a weekly basis. For more detailed history about sailing on Lake Okoboji, past commodores, who won the initial races and what type of boats were sailed, check out R. Aubrey LaFoy's, Reminiscing About the Iowa Great Lakes and Mary Jensen's A Centennial Cruise on the Iowa Great Lakes, both were wonderful resources in gathering the information here. View the OYC History Photo Album for some great pictures of our past. Welcome to the Okoboji Yacht Club. 1935 - Dr. W.L. Mendenhall	1983 - Clarence Landen, Jr.